Buying and selling of product & services by businesses and consumers through an electronics medium (over internet) without using any paper document is known as E-Commerce. 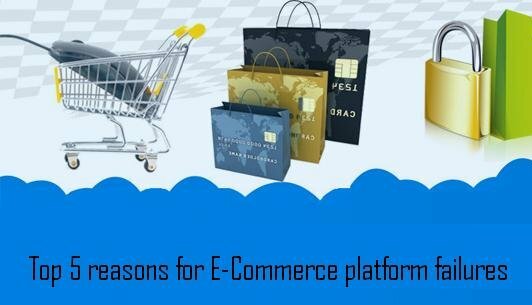 An E-Commerce strategy is like any business strategy – it requires research, planning and the right execution to deliver for your business objectives and the needs of customers. Businesses must take a strategic approach just as the offline. In offline, customers are able to see products and service with a great detail but in online the information just in readily available. So the website and product pages should provide all the information your customer need to purchase& also help section with frequently asked questions with contact details. A user interface that is confusing or hard to navigate will deter customers and prospects & reduce repeat purchases. Targeted search, simple menus and structures and clearly labeled products are some of the basic ways you can encourage visitors. If a E-Commerce application is built around a distributed SOA (service oriented architecture) then there will be multiple points of failure .Especially if several of those services are provided by a 3rd party vendor where you have no visibility such as PayPal, Stripe, Braintre, SMS gateways & if these services fails then it’s impossible to check out the transaction to complete. Therefore u needs to monitor these services consistently so when problems occur you can rapidly identify whether it is your code or connectivity. Caches are easy ways to speed up application performance. The closer the data is to the application logic (in memory) the faster it will execute. Most companies have adopted some form of in-memory caching to cut down on database access for frequently used results & this means that average heap size is much larger than before, and garbage collection affects end users more than before. In order to reduce the impact and frequency of garbage collection cycles, you must be efficient and careful in maintaining cache data and in creating or persisting user objects. Limited payment option can prevent customers and prospects for purchasing. So it should provide a wide range of payment options to ensure customers are able to buy products and also a detail to provide assurance that the transaction has been recorded and documentation is available for personal use. This means connection groups are not reused frequently enough and new threads are forced to wait for connection. The most common root cause for slow SQL statements is missing indexes on the database tables, which is often caused by miscommunication between the database administrators (who are responsible for setting up and maintaining database plans) and the developers that write the SQL. So you can make common database operations much faster, freeing up database connections to serve more users. Every E-Commerce application is different. The flow in traffic often faces performance issues and restricted access that have existed in the application for some time, so for this take a good hard look at your application and work over some of the problems. Copyright 2012-2018 © OdiTek Solutions. All rights reserved.